We give Pennywise a hard time. Sure, he's an evil clown that feeds on children's fear but he has some intense skill. We don't know that we would ever be able to compete with his timing. Showing up in a photo album when everyone thinks they're safe? Not something we could ever do! The thing is, there is a skill we can copy. What is that impressive skill? His makeup game, of course! 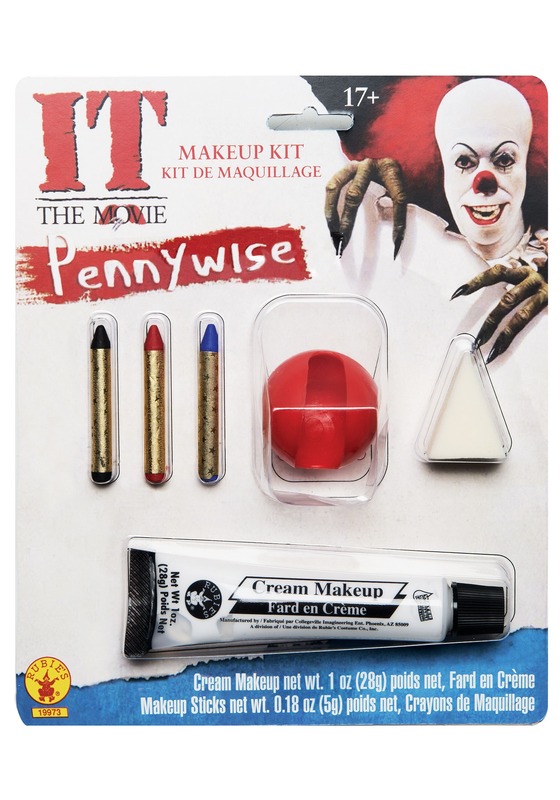 This makeup kit has everything you need to become this nightmarish clown (aesthetically, no evil magic powers). You'll get a white cream base coat, a black, red, and blue detail crayon, a blending sponge, and a red rubber nose. The best part is you won't have to apply it in a sewer if you don't want to! Hey, there are upsides to being a mere human. Just make sure you stay out of our nightmares. We can't handle it.